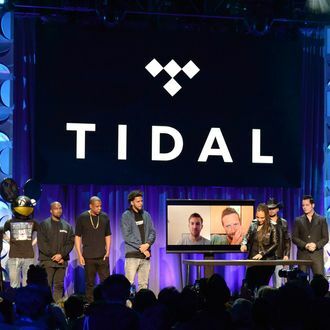 Yesterday Jay Z announced that Tidal officially reached 1 million subscribers after a rocky start, and promised a huge celebration to follow. Today he’s announced that that celebration will come in the form of a large-scale benefit concert to be held at the Barclays Center in Brooklyn on October 20. Jay Z, Beyoncé, Nicki Minaj, Prince, Usher, Lil Wayne, T.I., and a growing list of artists are expected to perform at the concert, which will also be livestreamed on Tidal and HTC.com for free. All proceeds from the concert will go to charity via the New World Foundation. Presale tickets for Tidal subscribers go on sale at noon, while the general public can purchase tickets on Friday at noon. TIDAL X: 1020 is being described as “the first in a series of philanthropic music events curated by Tidal,” so there are likely more events of this caliber in Tidal’s future. Incidentally, the announcement of Tidal’s inaugural benefit concert comes just as Apple Music’s free three-month trial has ended for many users.